Shafe has been a long time friend and I know he is a pretty humble guy. One who has been very successful over the years. We have banged heads as competitors in our shared time. We have never worked together directly although we both tried a few times. When I went to program the FOX, he had left a few years earlier crossing the street and quickly put ROCK 101 into contention which was not good news for the FOX. The people in the FOX building revered him and I got that, but we had to see beyond that. I needed to drive home the reality that we needed to compete harder. In a goofy move I gathered all the plaques and pictures with Don’a name on them, and there were many, and had them shipped over to him. He is quite the competitor but got a kick out of that and we became pals moving forward. He calls that the ‘deShafing’ of the FOX. Don grew up in Pittsburgh in the 50’s and 60’s listening to radio stations around the world. he was struck by the magic that came out of that little box whether Motown, Philly, The CBS Mystery Theatre, or his grandmother’s favourite soap opera. He was moved by the music, the on-air talent and the stories they shared and knew that he had to be a part of it. 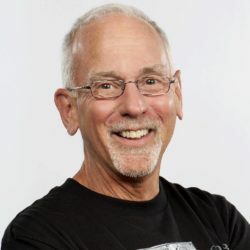 It took years of apprenticing high school dances, running for burgers and copy for staff at local stations (WEEP and KQV) and bits of part-time work but nothing substantial showed up until weekends at KLEN AM when he was stationed at Ft Hood Texas. He read news and operated the board for what they called the “God Squad”, local preachers who purchased blocks of programming helping the world to keep on keeping on in the name of the Lord! Bill and Debbie moved to Montreal and a few of them tagged along as Jim Sward welcomed them to the reinvention of CKGM FM and they followed the barefoot guy in the black robe (Geoff Sterling) down the hallway to start CHOM FM with Baba Ram Das and Swami Sham in the wings. Meditating before going on-air, being bilingual before it was legislated, hosting the bands of the day and allowing whoever was on the air to pick the very best next song from thousands of albums and the stories that went with them were all part of what they did. Live concerts from Andre Perry’s studios, house parties for their audience, Earl Jive giving up the station at gunpoint to the FLQ as the Downchild Blues Band played on are many of the indelible memories as they hung on to every word and note in anxious expectation of what might come next! With Kerry Holley, Roy Hennessy, Stirling Faux and Don Shafer. In 1976 Roy Hennessy hired 365’er John M Donabie and Shafe to join CKLG FM which became The FOX. The station became legendary primarily due to Roy’s vision and he made it easy for everyone who followed. When Roy left to become a Moffat general manager in Calgary the FOX became Shafe’s first opportunity to program. He says he was humbled and grateful to everyone in Moffat, especially the team who helped him learn how to manage and make great radio. The FOX was known for showcasing local music and did great work in Vancouver with the Kid’s Fund and local, not for profits. The music community was alive and the audience supported them with live concerts, club remotes and crazy promotions that Pete Taylor dreamed up. The record reps of the day could walk in the studio with a new album by Ray Materick, Bryan Adams, Bruce Springsteen or whoever and they’d put them on air. No research, no charts, nothing. They had fun and he’s certain (as we all are) they made a difference. He’d like to mention the team but fearful he’d miss someone, but they were exceptional, and many have supported him over the years. When given the opportunity, an empty canvas and $75 dollars more a month, he crossed the street in 1986 to join CFMI and see what could be done with a failing middle of the road FM station. Ron Bremner and Ted Smith gave them all the tools they needed and Rock 101 went on the air and they never looked back. Again, a stellar team made it happen he says with kudos to Dale Buote and Rick Shannon as Vancouver’s Best Rock made its mark. 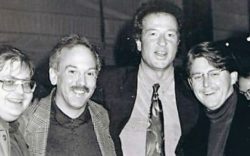 In 1997 Eric Rothschild introduced Don to the head honcho of the Toronto Star John Honderich and they began a novel experiment called ‘Toronto Star Television’. It was fun and profitable thanks to 365’er Nancy Brown Dacko as they made infomercials, promoted the newspaper, and developed a business model for state-of-the-art webcasting. He loved his time with this team and the Star. He learned a lot from the Star about the newspaper business as it migrated online, the craft of journalism and narrative storytelling. A failed Torstar television application to the CRTC for a group of community stations and a call from Gary Slaight encouraged him to return to BC and radio and help Standard rebuild what was called the BC Interior Group of stations following the Telemedia sale. Don drove into the worst fires the Okanagan had ever seen in 2003 and BC was a war zone. They had great people throughout the 22 radio and television stations and many wonderful stories in every community as the team rallied and they rebuilt the group. 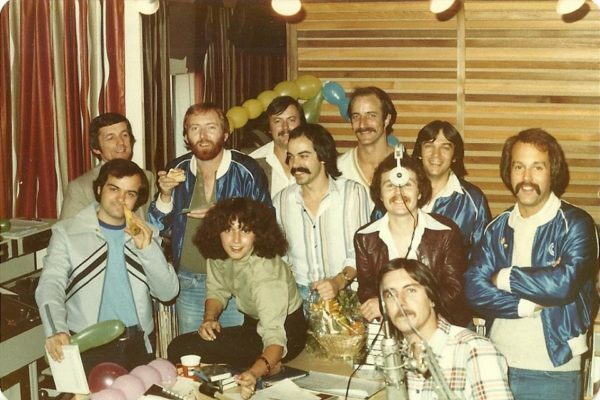 Gary Slaight and the Standard managers were incredibly supportive and allowed them to breath life back into each station and do what local radio does best in dozens of small markets. Don is very proud of the work they did throughout BC. He remained with this group until 2013 and survived the sales to Astral and then BELL Media when he was eventually ‘retired’. 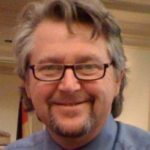 He took up a short-term contract with Pattison Broadcasting to help them transition the stations they had purchased from Bell Media in Winnipeg. He got to work with 365’er Sharon Taylor and her team for a short time which he describes as an honour, all the while working on an application in Vancouver for Roundhouse Radio. Then there are those who check in who he says to occasional pull him back from the edge: Paisley Dodds, Heath Shafer, Ally & Evan Shafer, Khris Shafer, Renee McClusky, Roy Hennessy, Cheryl Dodds, Dani Eisler, Betty Morton, Wendy Laski, Eric Rothschild, Bill Varrecha, Dave David Marsden, Jim JJ Johnston, Gail Goldman, TDM, Frank Gigliotti, Chris Grossman, Ron Bremner, Reeny Chew, Jennifer Smith, Roy Mckenzie, Minelle Mahtani, Anne Newlands, Sam Feldman, Bruce Allen, Ray Daniels, 365’ers Mark Burley, John Parikhal and Nancy Brown Dacko, and his social media family and friends. “I completed my master’s degree in September in the Graduate Liberal Arts Program at Simon Fraser and I’ve just returned from the Faber Residency in Spain working with journalists from around the world. My thesis was about Climate Change and the Many Faces of Denial and captured over 100 interviews with some of the worlds leading experts. I learned that if we have any hope of dealing with the big issues of the day, we have to learn how to talk to each other differently. That the best conversations are those where the ability to listen and to ask generous questions brings out the best in those asking, as well as those answering. Being able to move beyond a public discourse of certainty or absolutism and understanding why achieving common ground does not have to be the goal. A beautiful question then is an ambitious yet actionable question that can begin to shift the way we feel, perceive or think about something—and that might serve as a catalyst to bring about positive personal and social change as we share the stories of our time. It’s funny that I took a liberal arts program to distance myself from communications and journalism and that it brought me full circle and back to the problems of the day and how we communicate with each other. Learning how to explore new departure points within conversations and build bridges to more engaged storytelling and narrative based inquiry. How to illuminate the heart of an issue or point of view, and that place between science, fact, and embedded beliefs. Don says its time to give something back? He thinks he would like to do a little on-air and online work, some consulting, write, research, teach, and maybe consider a PhD. Or just volunteer somewhere to help, wherever he can. And finally, he says to always remember the words Gary Slaight used that always resonated with him; ‘This business is supposed to be fun. If it’s not, find something else to do’. Don has made a hell of a difference in broadcasting and beyond. He’s built so many successful businesses, brought along so many talented ones, and has also been a champion of the communities he has lived in. The guy is incredible and one of my regrets is never having worked directly with him, so far… Keep it going Shafe. Atta be! Roundhouse was a terrific experiment, hobbled by the CRTC. Don Shafer is a visionary who clearly gave everything he had to make Roundhouse work. Shafe excelled at being independent. He is cocky, and can back it up. Nice, probably too nice. Learned early that corporate was not for him, proved it. Swam upstream once too often but showed real fortitude and a true desire in doing so. Helped so many of us along the Radio way to understand that “great music, the hits” can become yesterday’s music very quickly if they don’t have a great jock presenting them. JJ you picked a wonderful person to salute!